After much anticipation and some very clever teaser shots, the 2016 Chevrolet Malibu made its debut at the New York International Auto Show this past week. It is clear right away that this Malibu means business with a much fresher and edgier design than the outgoing model. Upon further review of the details, the 2016 Malibu improves upon the sedan and raises the bar for design and innovation. The new car adopts a swept roofline that gives it a much sleeker look. 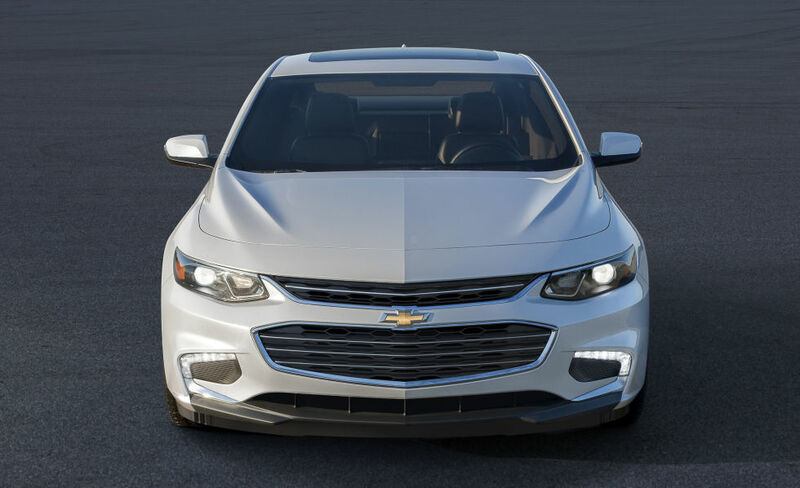 With the right creases and edges, the Malibu is much stronger with a crisp body. Engineers stretched the Malibu by 2.3 inches overall for increased interior room. Despite the fact that the width of the car remains unchanged, the the hood is lower with a larger overhang to give the appearance of a stronger, wider car. New to the Malibu lineup is a 1.5L turbocharged 4 cylinder engine from GM’s Ecotec family. The optional engine is a 2.0L turbocharged 4 cylinder. For the 1.5L engine, drivers will have a six speed automatic, while 2.0L drivers will see a new 8 speed automatic transmission, each in a front wheel drive configuration. 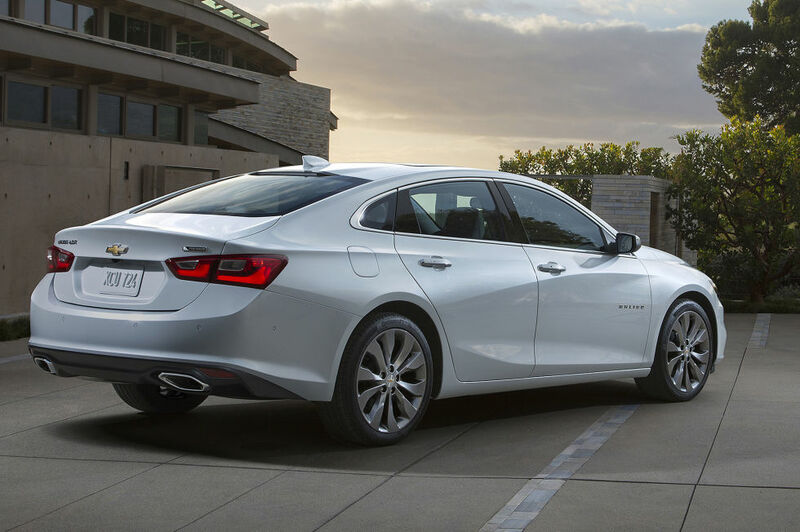 With these engine and transmission pairings and weight reduction, the new Malibu is set to exceed the previous generation’s fuel economy numbers. The list of safety features available on the 2016 Malibu is extensive! The car comes standard with ten airbags and buyers can select from forward collision alert, blind-spot monitoring, lane-departure warning, pedestrian detection with automatic braking, lane-keeping assist, rear cross traffic alert, automatic parking, adaptive cruise control and more. Parents will also appreciate the ability to monitor the driving of their teen with speed limit warnings, limit the sound volume of the radio and monitor their driving. Considering drivers spend a lot of time behind the wheel, it’s important to have a comfortable and welcoming interior. The 2016 Malibu has just that. The choice of materials has improved and the layout is cleaner without being bland. 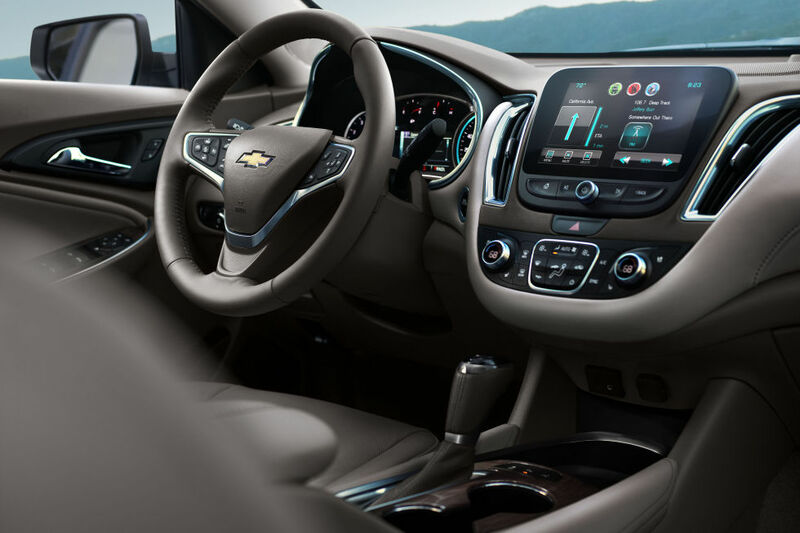 A new optional 8 inch touch screen houses an improved Chevrolet MyLink system. An abundance of USB ports can be had as well as a wireless phone charger. Continuing the trend started in 2015, the Malibu will also offer OnStar with 4G LTE. You can expect the new Malibu to hit the lot later this year. We are all dying to get our hands on the keys to take this new, lighter Malibu for a drive. Chevrolet has promised a much better driving experience. That paired with the handsome exterior, impressive list of safety features and innovative technology will make this car a hit!